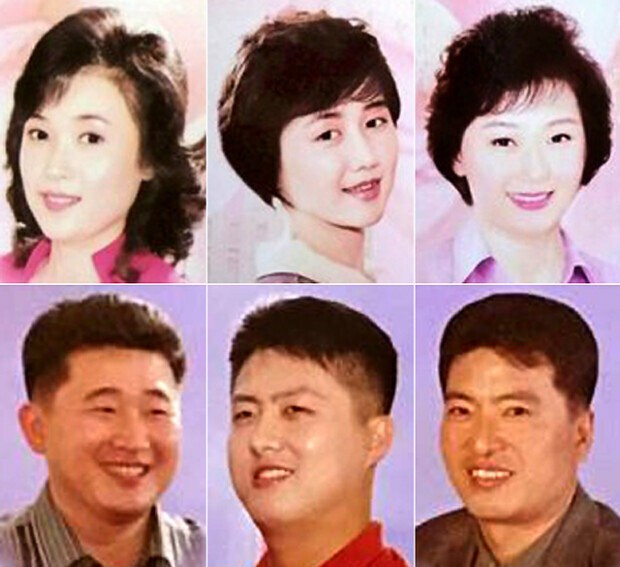 N. Korea cracks down on fashions and haircuts. August. 20, 2018 07:35. by Mi-Kyung Jung mickey@donga.com. North Korea has reportedly stepped up a crackdown on “non-socialist behavior,” including unapproved hairstyles and clothes, ahead of the 70th anniversary of the founding of the country on Sept. 9. Youth groups affiliated with the regime’s ruling Workers’ Party are said to have been sent around the country to keep tabs on fashions and hairstyles, in an apparent effort to send a message to foreign countries that the North’s residents have a strong sense of socialism, according to The Washington Post, Radio Free Asia, and the Telegraph Friday (local time). Two or three female inspectors, dressed in a black, traditional Korean dress “Hanbok,” are patrolling the streets and public areas to stop and interrogate any passers-by whose clothes or haircut does not fall within officially prescribed norms. When found sporting banned fashions or hairstyles, citizens are fined and even detained depending on the severity of a violation, reported U.S.-sponsored Radio Free Asia. Short or see-through skirts are considered a misdemeanor, and pants are still not allowed for women. Foreign tourists can wear trousers, which are beneath the knees. Both men and women must stick to 15 state-approved haircuts, and dyed hair is considered a breach of the rules.